CEMB gives proven recommendations on how successful shops increase alignment sales and provide the best possible service to their customers to maximize profitability. • Offer free wheel alignment checks. Always check the alignment when tires are sold. • Offer free tire repair and free air. Have your techs do the service for the customer with a smile. • Offer no charge “push type” wheel alignment checks when the customer arrives for service work and after the service work has been performed. Inform the customer when contacted when their vehicle is completed that their alignment has also been checked as a courtesy and way to say thanks for coming in. • Don’t allow a customer to misdiagnose a symptom. 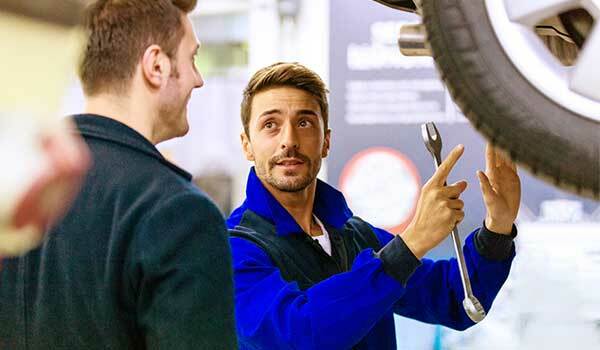 When a wheel alignment is requested, always ask the customer “why do you need an alignment.” Listen carefully to the reasons why they are asking. Often, the reasons may be totally unrelated. • Always tell the customer you’re happy to check the alignment and see if it needs it. If the alignment angles are within tolerances you can make a customer for life if you tell them if it’s in spec, no charge. If you do free alignment checks, then there is no charge. • When quoting the cost of an alignment, it’s always good to show the customer a document that illustrates their year, make and model and all the factory and aftermarket adjustments and any additional aftermarket kits that the shop may the customer to put into the vehicle to make adjustments where the factory has no adjustment. • It’s a good idea to keep a limited source of aftermarket alignment kits in the shop based on the vehicles that are popular in the shop. They are inexpensive in relation to the investment of an alignment system. Be sure the techs are trained on how to install them and service writers are trained on how to sell them. • Always provide a print-out before and after. Proof of workmanship is critical. • Always road test the vehicle before and after to determine the drive quality, steering wheel position, returnability, vibration at different speeds, braking performance, suspension performance, noises, etc. • Always check the suspension and the steering components during alignment checks and before performing an alignment service. • Perform a “dry park check” that involves having someone rock the steering wheel back and forth while the tech inspects the steering linkage or tie rods and bushings for movement with the load on the tires (turn plates locked). 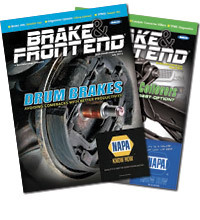 • Vehicles that have been in a collision or vehicles with tire wear and the alignment is in spec, always check “non-adjustable” alignment angles such as SAI, Included Angle, Toe Out In Turns, Set Back, Track Width, to determine if the car has already been aligned and bent parts are being masked. For additional information, visit CEMB USA.